Hey everybody! It’s that time of year again! Oyasama‘s birthday (April 18) is fast approaching, so let’s celebrate the occasion by wearing red on her birthday. 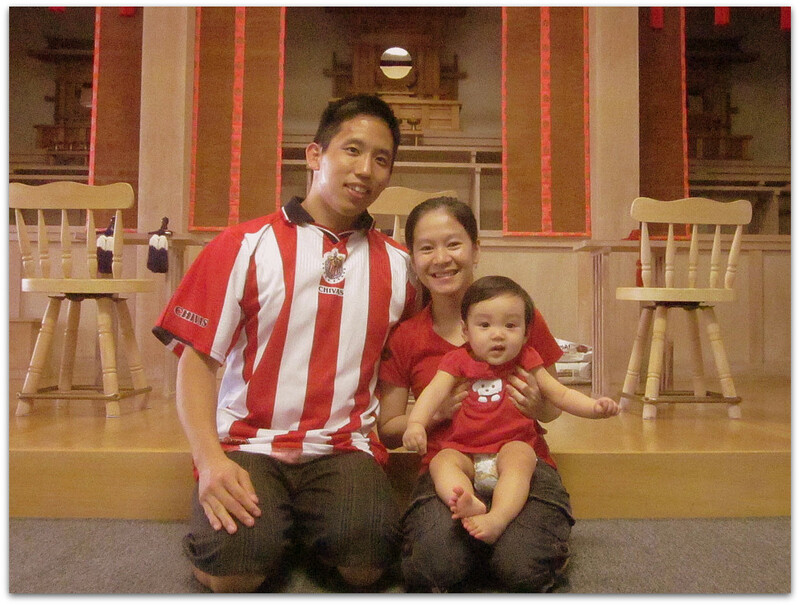 Although some of you who have a Proof Amulet are essentially wearing red already, we hope you will participate by wearing red out in the open, just like Oyasama did. Wear a red shirt, a red tie, red socks, red hat… it’s up to you! Beginning on December 26, 1874, Oyasama began exclusively wearing red from her kimono, undergarments, down to her tabi socks. She took this unusual step, it is explained, to show people that she was the “Shrine of Tsukihi”. (It might be noted that some Shinto shrines are painted bright red.) She also began donning red not long after the authorities began scrutinizing her activities and those of her followers. Although a natural response to such outside pressure is to lie low, Oyasama did the exact opposite by wearing a color that would attract even more attention. Let’s try to get some attention by wearing red on April 18! What does a Tenrikyo Church look like around the world?